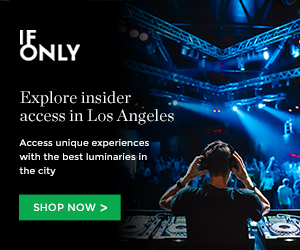 Boiler Room, the global music event made its way to Los Angeles last week. To score and invited to their coveted events, you must subscribe to their website and wait for an invite disclosing the location the day of the event. For this occasion, the epicenter was Club Bahia in Echo Park. By noon, guests had received all the information and since 8 p.m. lines started to form on Sunset Boulevard filled with an eager crowd ready to party all night. The DJ setup was in the middle of the room surrounded by the crowd. I made it on time for Camilo Lara better known as MIS (Mexican Institute of Sound), a border breaking dj and producer that with original productions and global influences had the crowd dancing. His Dj set went between old school cumbia and electronic dance beats, all while free beer was flowing. MIS’ set was followed by Los Angeles based producers Chico Mann and Captain Planet. This duo recently dropped their new album Night Visions and performed it live for the first time ever at Boiler Room. Their music felt like a sweet summer breeze, something we’ve have been longing for quite some time. It was nothing but swift dance moves on the floor. The duo’s next local appearance will be their album release party on March 16 at El Dorado DTLA. Moving forward, next up was Quantic, AKA Will Holland. This musician, selector, producer brought Latin sounds ranging from Colombia to the world all in vinyl! To be specific, 7″ only. His selection was fun and rare and had heads bobbing and turning waiting for the next surprise to be dropped. Last but not least, closing up and incredible night with a bang was Buyepongo. This band from the underground neighborhoods of Los Angeles was not to be missed. They have created a polyrhythmic sound fusing cumbia, merengue, punta, world jazz and funk creating their staple “Buyangú.” By the end of the night, tingling with healthy amounts of free beer and Buyangú in the air, the audience did not want to leave. It was that good. I missed DJ Francesca Harding at the very beginning, but from what I heard it was the perfect intro to warm up your body and get you dancing. Boiler room was not only a thrilling night of dance and beats, but it left us all excited for the next Boiler Room experience. Let’s hope it’s not too long. This entry was posted in Live Concerts and tagged boiler room, Buyepongo, Camilo Lara, Captain Planet, Chico Mann, Club Bahia, Cumbia, Mexican Institute of Sound, MIS, Night Visions, Quantic on March 6, 2017 by FarahSosa.